COLUMBUS, Ohio – Researchers surveying for endangered primates in national parks and forest reserves of Ivory Coast found, to their surprise, that most of these protected areas had been turned into illegal cocoa farms, a new study reports. The researchers surveyed 23 protected areas in the West African nation between 2010 and 2013 and found that about three-quarters of the land in them had been transformed into cocoa production. The Ivory Coast is the largest producer of cocoa beans, providing more than one-third of the world’s supply. Cocoa is the main ingredient in chocolate. “The world’s demand for chocolate has been very hard on the endangered primates of Ivory Coast,” said W. Scott McGraw, co-author of the study and professor of anthropology at The Ohio State University. “But when we started walking through these areas we were just stunned by the scale of illegal cocoa production. It is now the major cause of deforestation in these parks,” he said. The study (available here) appears in the March 2015 issue of the journal Tropical Conservation Science. For the study, McGraw and his co-authors, all of whom work for Ivory Coast research institutions, spent a total of 208 days walking transects through nationally protected areas, most in the central and southern regions of the country. In each area, they noted the amount of forest that had been cut down or degraded and how much of this was replaced by cocoa or other types of farms. They also recorded the presence of 16 primate species, including monkeys and chimpanzees. Of the 23 protected areas, 16 of them had more than 65 percent of their forests degraded by farms, logging or other human disturbance. While a variety of agricultural products were grown illegally in the parks, cocoa constituted 93 percent of the total crops grown. 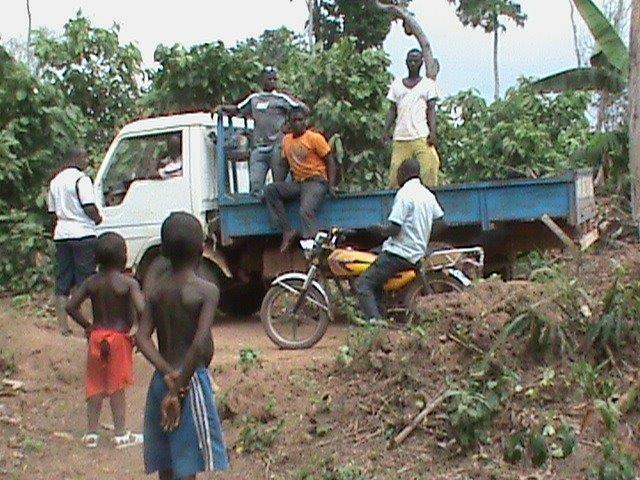 Farmers load a truck with cocoa beans inside a protected area. Overall, 20 of the areas had illegal cocoa plantations and approximately 74 percent of the total land in these areas was transformed into cocoa production. Unauthorized villages have sprung up within these parks, with one housing nearly 30,000 people.Overall, 20 of the areas had illegal cocoa plantations and approximately 74 percent of the total land in these areas was transformed into cocoa production.Of the 23 protected areas, 16 of them had more than 65 percent of their forests degraded by farms, logging or other human disturbance. While a variety of agricultural products were grown illegally in the parks, cocoa constituted 93 percent of the total crops grown. “I’ve been doing survey work in these parks for 20 years, and it wasn’t nearly this bad when I started. This is a relatively recent development,” McGraw said. The impact on primates has been dramatic. Overall, 13 of the protected areas (57 percent) had lost their entire primate populations, while another five had lost half of their species. One species of monkey - Miss Waldron's red colobus – was not seen during this survey and has not officially been sighted since 1978. It is probably extinct. Two other monkeys – the Roloway monkey and the White-naped mangabey – were seen in only two reserves and are critically endangered, at least partially due to the habitat destruction caused by illegal cocoa farms. Unauthorized village inside of a protected area. A variety of factors have led to these forest reserves being destroyed, he said. One has been the growing worldwide demand for chocolate. Ivory Coast produced a record 1.7 million metric tons of cocoa in the year that ended in September, according to the International Cocoa Organization in London. Many of the older, legal cocoa plantations in the country have been blighted by disease or otherwise haven’t produced at the same levels as previously, which has led some growers to establish new farms in the reserves. Moreover, migrants from outside the country have moved into Ivory Coast and turned to farming to survive. At the same time, Ivory Coast has been in political turmoil in recent years and the government hasn’t been focused on monitoring these forest reserves. McGraw said that while the results are disappointing, there is still time to halt the disappearance of more primates and other wildlife. First, the land within protected areas needs to be actually protected. Outside these lands, growers should move toward shade-cocoa farming, which keeps some of the large existing trees, with cocoa plants interspersed among them. This would at least preserve some suitable habitat for monkeys that live in the country, he said. In addition, there should be efforts to connect the many fragmented forest reserves in the country. “We need to view the protected areas not as individual islands, but as a matrix,” he said. One promising development is the establishment of community-based bio-monitoring programs that involve foot patrols conducted by local villagers. McGraw said his co-authors on this paper established a patrol in the Dassioko Forest Reserve and it has succeeded in reducing illegal activity in the area. Encounter rates with primates has risen in the area as a result. 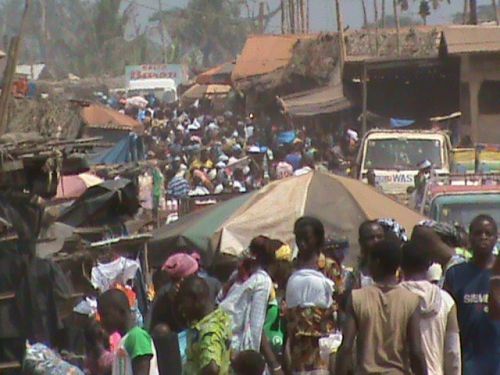 The co-authors on the study were E. Anderson Bitty, Sery Gonedele Bi, Jean-Claude Koffi Bene and Philippe K. Kouassi.